Before we dive into the key features and talk about how it will affect your Windows 10 and Office 365 deployment strategy, let's have a closer look at what Desktop Analytics is. Desktop Analytics is a Microsoft service that aims to ensure application compatibility for enterprises upgrading to Windows 10 and Office 365 ProPlus. According to Microsoft, it will "create an inventory of apps running in the organization, assess app compatibility with the latest feature updates of Windows 10 and Office 365 ProPlus, and create pilot groups" for testing. It is important to note that, while it was announced in September 2018, Microsoft has not yet released a general availability date or a preview version yet. Due to the difficulty in reading the screenshot of the dashboards, I've annotated them to highlight key points. One main feature of Desktop Analytics is the ability to create a deployment ring plan by choosing which supported version of Windows and Office you want to install on which device groups (e.g., all, pilot ring, excluding C-level and other devices, etc.). One of the biggest advantages of Desktop Analytics is the ability to create the most efficient pilot group that covers most, if not all of your IT landscape. 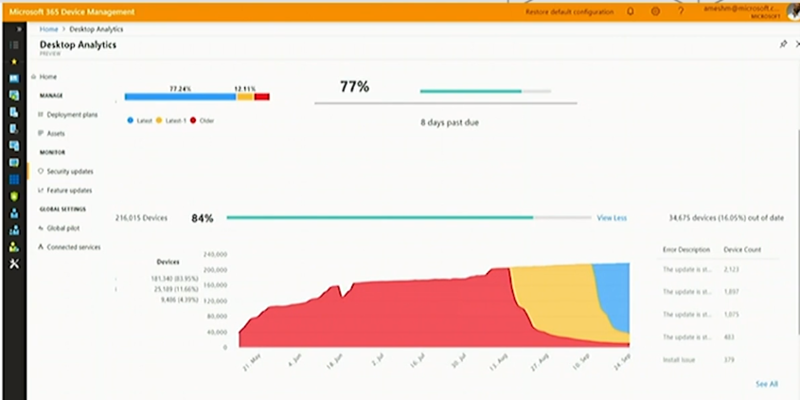 While most organizations already have at this point a steady pilot group of several hundred devices, Desktop Analytics helps you to improve the effectiveness of your pilot phase with its deep integrations with Configuration Manager, micro service connectors, and AHA (App Health Analyzer). In the example from the presentation below, 495 devices of the 87,470 total devices were enrolled in the current pilot group. However, running through a pilot deployment with this group would have only covered 31.71% of the estate (hardware, apps, etc.). Adding 592 devices gives you the remaining 68.29% to get to 100%. This also brings your redundancy from 11.53% to almost 70%, to take into account devices on vacation, transferred, etc. It is worth noting that, according to Microsoft, the number of pilot devices in this example is high as the importance level of apps has yet to be fully classified. Microsoft's aim is to not have every app tested before starting your pilot deployment — but rather enable you to use Desktop Analytics to find the most important apps and combine that data with any known drivers, antivirus, etc. 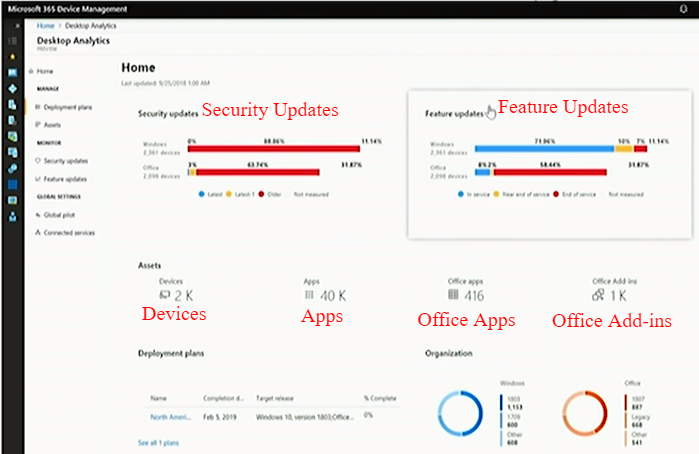 issues that Microsoft's telemetry has received. After the first batch of devices has completed the pilot rollout, you can start reporting back in with any issues and other health data. This is supposed to help you to fine-tune your pilot deployment from there. 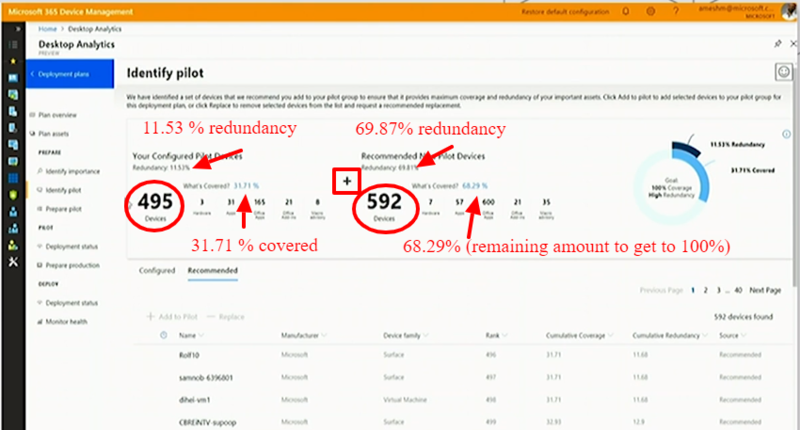 One thing the presenters stressed over and over was how Microsoft is using telemetry data they collect and is sharing that knowledge, as well as giving meaningful insights to transform how an enterprise prepares and plans for a migration. 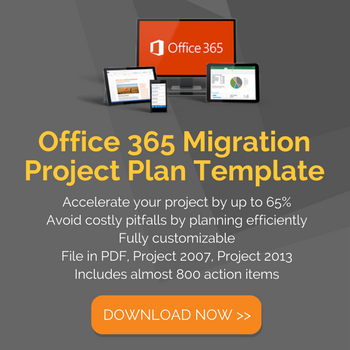 They also discussed how Microsoft is trying to alleviate some of the common pain points of migrations like WAN pressure, Application Compatibility, and managing users across the organization. 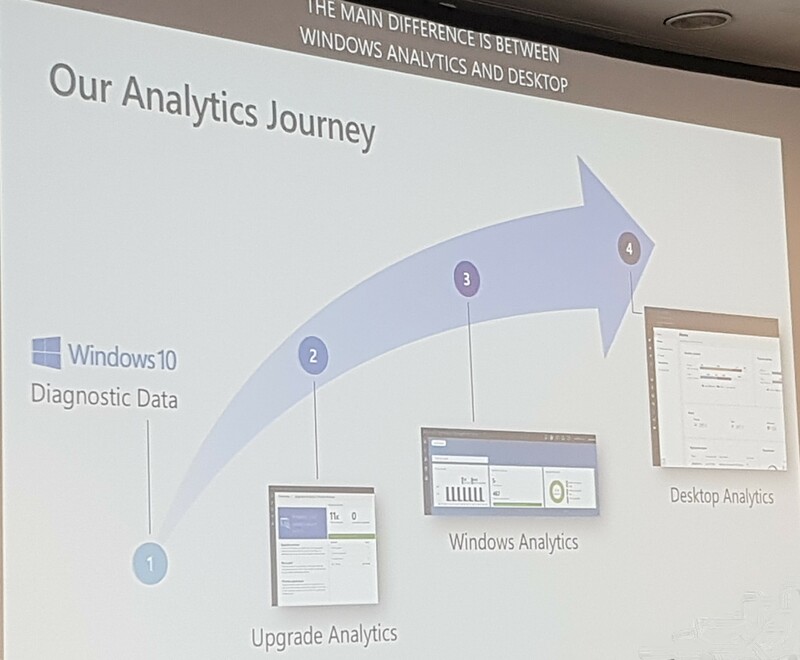 During its talk, Microsoft stressed the usefulness of the data Desktop Analytics receives not only during the migration, but before as well. For example, if a business unit manager claims that the new update crashes Excel all the time, you now have the data to show him or her that it is actually crashing at a lower percentage than before the update. Obviously, the more session data is reported back, the more powerful the reporting dashboard becomes. This allows IT pros to see where issues are and which versions, which devices, what hardware setups, etc. are causing them. Since this data is enriched with global telemetry data from Microsoft, you can also see if it makes sense to switch back to an older version or pause your rollout. They also mentioned how reporting now only takes 10-15 minutes rather that the usual 24 hours, which is important in zero-day vulnerabilities, where you can quickly show when the issue started, how long it took to patch your devices, and how many are left. One common theme during the presentation was that Desktop Analytics will start off with the most basic functionality and will expand over time. With all the improvements, Desktop Analytics will certainly be a significant improvement over Windows Analytics. However, other than the initial pilot phase recommendations, you are still left with a lot of heavy lifting. 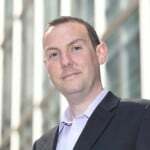 While Desktop Analytics, once fully matured, has the promise to become a useful supplemental data source, it certainly isn't an adequate tool to manage your readiness, scheduling and deployments. Once it has been released, we will check back in and run a more thorough side-by-side comparison and give you deeper integration suggestions — so stay tuned.